This is a question we have heard over and over again through the course of our work with talented, ambitious people who are making their way up the career ladder. The people who ask this are often experienced leaders already, who have attended countless leadership development programmes over the years and read countless books on the art of successful leadership. Much as attending programmes and reading books may be enriching though, the fact that the question is still as frequently asked led us to the conclusion that the nuances of top leadership remain an enigma for many – and often even for those who are new appointees to such roles. As a result, over the last two years we decided to research three questions. What are the unique requirements of a top leadership role? How should I go about meeting these? 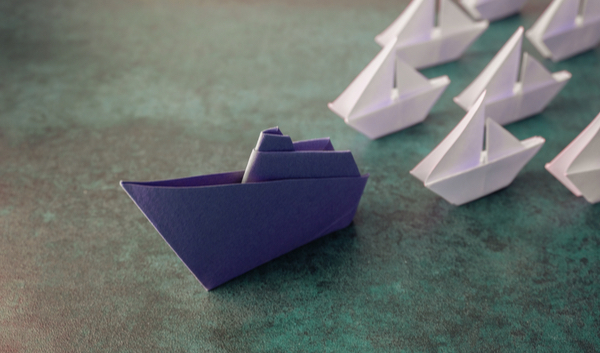 How can I display my newfound leadership skills in my current role to be spotted as a leader in waiting? Knowing your stuff is not enough and, in and of itself, nor is it a differentiator. But it is critical. It’s your ticket to the game. Knowing your stuff is not the same as knowing all there is to know. What is expected of a senior leader is not that she will be able to do everything but that she will have an opinion about anything. Finance is the language of business and you have to be fluent in it. People want to follow you – even when they don’t have to. While these do not guarantee success they are the must-haves before you can tackle our differentiators. This dimension is all about the absence of boundaries. You know that, from employees to shareholders via journalists and politicians, the stakeholder community leaders have to deal with is vast. To succeed you must scan your environment from the broadest perspective and bring the outside in. You need to have networks that span far beyond the obvious to unearth value others seldom see. Whether used to facilitate the flow of information, to connect, collaborate, partner or co-create, this broader and deeper web becomes a strategic asset as opposed to an operational necessity. the noise to identify what needs most attention as well as face up to totally unforeseen issues. the tensions and paradoxes that prevail in any decision to reach innovative and valuable outcomes. the perceived limitations of the organization as it is both run and changed at the same time. Our final dimension refers to the unlikely marriage of consistency and differentiation. This is why everyone in our research mentioned the relentless nature of the executive role. It is an always-on role. However varied the audience, however unpredictable their demands, however unforeseen the circumstances, you have to respond. You have to balance. You have to impact. Learning to manage this level of scrutiny is key. Seeking counsel to understand and knowing when to step back and move forward is necessary. Knowing your core and having the courage to make decisions based on this is critical. To succeed, you need to integrate the above practices into your daily routine. These alone will start to get you noticed for the promotion to which you aspire. That said, to reach the point at whichno one ever questions why you should be a top leader but rather questions why you are not one already, there is one more trick. This, whatever task you complete, is to ask, “what lessons can I draw from this which will be useful for my team, my peers and my superiors?” Success will come if you can use the answer as an opportunity to teach your colleagues, superior and stakeholders something that will make them stronger and more capable in their practice.